He is the old boy in the room. This is how an official described Joseph Kinyua’s presence at Cabinet sessions in the Uhuru Kenyatta administration. At 67, Kinyua should have long exited the public service. And he has expressed his intentions to do so. But his boss won’t let him go; not just yet. As head of Public Service and Secretary to the Cabinet, Kinyua’s main job is to make President Kenyatta’s trains run on time. He leads the bureaucracy that implements the president’s policies and agenda. And because of this, he is easily the most powerful unelected individual in the Kenyatta administration. Besides heading the Public Service, he coordinates cabinet programmes. Described by associates as calm, decisive, firm and highly experienced on policy and statecraft, Kinyua is undoubtedly one of the President’s most trusted allies. The top civil servant runs the government on behalf of the President. He sits in every meeting the head of State attends. He is what you would call Uhuru’s enforcer-in-chief, his whisperer, his consigliere. And the President listens to him. “He respects his judgment and affable manner,” say those close to them. Kinyua has two offices: One in State House and another at Harambee House. He hardly goes to Harambee House, unless the President has an event there. 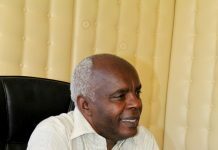 The career economist was appointed by then President Daniel Moi in the twilight of the Kanu administration as Permanent Secretary at the Treasury and was retained by President Mwai Kibaki at the Planning ministry before returning him to Treasury in 2004 where he stayed until 2013. He at one time served as the chief economist at the Central Bank and later as PS at the Planning and Agriculture ministries. 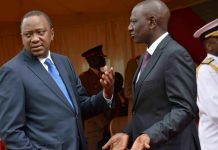 The President and Kinyua developed a strong bond when they worked together at the Treasury, with Uhuru as minister and the latter as his permanent secretary, during the Kibaki-Raila grand coalition government. The President tapped him as Chief of Staff and head of Public Service immediately Jubilee took power in 2013. The new position thrust Kinyua to the core of power, influence and unfettered access to the President, who has unmistakably befitted from his government experience. “Kinyua is the most powerful, influential and most experienced among the President’s men. Cabinet secretaries have to run their decisions by him before they can approach the President. He is the elder in the room,” said the official who sought anonymity because he was uncomfortable discussing his boss. His memos and circulars are read diligently and implemented without contradiction. Another senior official recounted an interaction that captures Kinyua’s soft power. 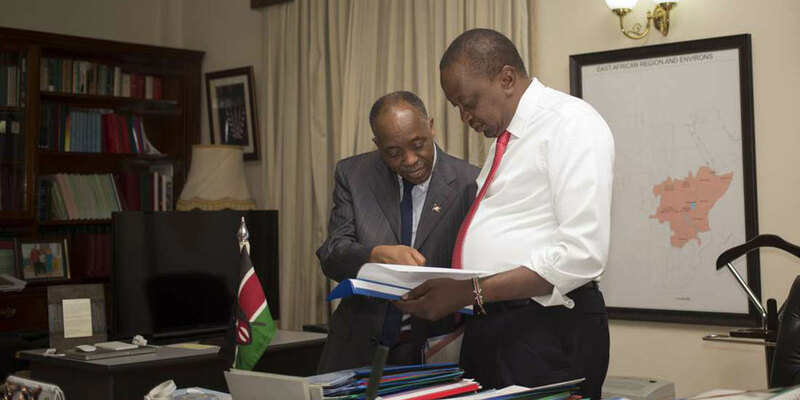 One time as President Kenyatta was chairing a Cabinet meeting and a sub-committee was making a presentation, Kinyua rose up, tapped the President gently on the shoulder and whispered to him. The Cabinet secretary was subsequently given a dressing down by the President for doing a “shoddy” job. In another incident, a Cabinet secretary had nominated individuals for appointment by the President to fairly high profile jobs. Kinyua walked into the President’s office and advised against the appointments indicating that no sufficient checks had been conducted on the nominees, and the President could potentially be embarrassed. The CS was heavily reprimanded. But it has not been all rosy. There have been questions about the constitutionality of Kinyua’s job as the head of public service. Following a circular to Cabinet secretaries exempting chiefs of parastatals from the mandatory retirement age of 60, the indefatigable activist Okiya Omtatah in March moved to the Employment and Labour Relations court to seek a legal interpretation of Kinyua’s designation as the Head of Public Service, a post he claims should not exist under the current Constitution. The activist contends that Kinyua, who was first hired as Chief of Staff, was handpicked by President Uhuru Kenyatta to serve on his private staff and was never vetted by Parliament. In the circumstances, Omtatah thinks Kinyua cannot superintend the public service, outside the President’s private staff. “He has no powers over principal secretaries or authorised officers, or in any way whatsoever, to take over, control, or to direct the functions and operations of the Public Service Commission,” he argues. Omtatah argues Kinyua’s designation as head of public service is extremely irregular and undermines the mandate and authority of the PSC. However, Kinyua’s backers have always argued that the Constitution empowers the President to create positions in the public service in consultation with the PSC. But even then, was he vetted for Secretary to Cabinet, his critics pose? Though operating behind the curtains, the role of head of public service plays a significant political role in the presidency. There has been this debate on the dichotomy between politics and public administration. Some argue that politics and administration should be distinct – that civil servants should not engage in politics. But there are those who offer that it is difficult to divorce bureaucrats from politics. The practical circumstances render them incapable as they execute policies inspired by politicians. Kinyua has been central in some of the key political decisions made by the President. In one controversial decision, the top civil servant mobilised government resources for the Jubilee re-election. In a memo dated October 16 to all principal secretaries, he directed them to release one vehicle each — preferably a Prado — to the Jubilee campaign to rally voters in various rallies across the country. The vehicles were supposed to be delivered to the authority of Interior principal secretary Karanja Kibicho. The directive was heeded without fail. Independent Electoral and Boundaries Commission regulations prohibit candidates in an election from using State resources in the campaigns. Working in a government steeped in debt, Kinyua has been struggling to enforce austerity measures in the public service. Early this year, he directed heads of government departments and State corporations to cease from signing new project loans without Cabinet approval. In 2016, he requested to retire but the President is said to have prevailed upon him to stay on until after the 2017 elections. Those close to him say that Kinyua wants to leave his office at State House but the President has been reluctant to release him. Insiders say that the President wants Kinyua to help him implement his Four Agenda items as well as lay ground for the 2022 succession. Kinyua’s expression of intention to leave the public service has triggered open jostling for his plum position. Those said to be lobbying for the post include Interior principal secretary Karanja Kibicho, State House Chief of Staff Nzioka Waita and Deputy Head of Public Service Wanyama Musiambo. His kind of influence is not rare. 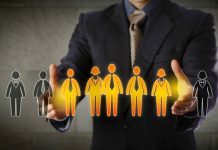 There have been notable cases of unelected but powerful individuals at the centre of governments. American political strategist Karl Rove was often characterised as President George W. Bush’s brain. He oversaw Bush’s re-election campaign. In the Obama administration, no one was more envied or hated because of her access and willingness to apply power than Valerie Jarrett, a senior adviser to the President, observes the Washington Post. Jarret is variously described as Obama’s friend, confidant and mentor who once almost hired Michelle for the Chicago mayor’s office. Fiercely protected by Obama, she accompanied him in nearly all foreign trips, attended nearly all his meetings and frequently vacationed with the First Family. Jarrett oversaw the Office of Intergovernmental Affairs and the Office of Public Engagement, tasked with building and managing the administration’s relationships with state and local officials and advocacy groups. This means she determined who from the outside got to meet or receive phone calls from the US president – a very enviable position. A former Obama stuffer described her as “the single most influential person in the Obama White House” in a New York Times story. She was reportedly consulted by the president on every major decision. “If Karl Rove was known as George W. Bush’s political brain, Jarrett is Obama’s spine,” reported the New York Times.